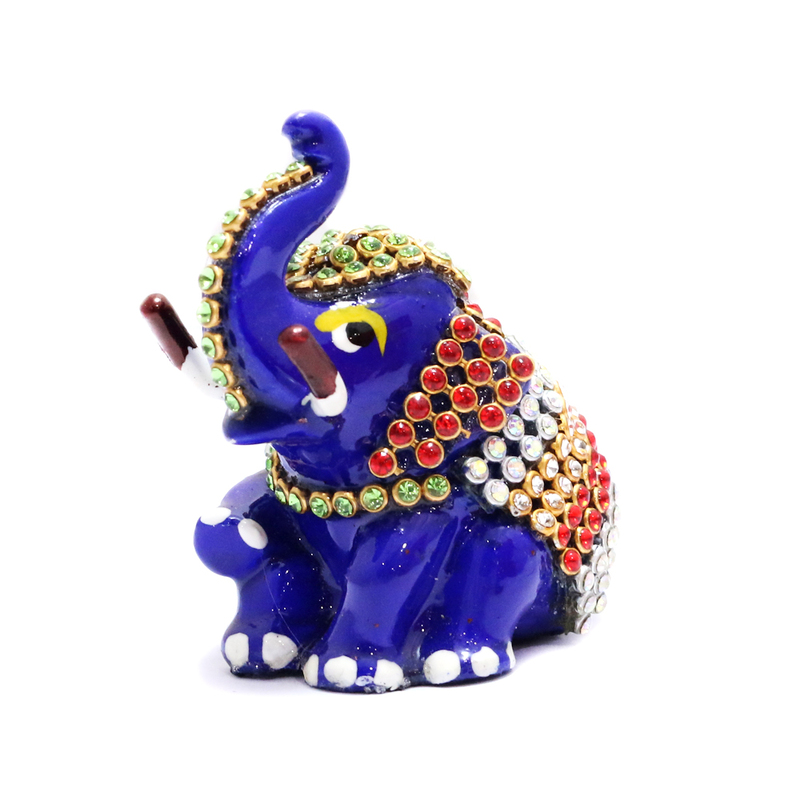 This beautiful elephant showpiece is sure to give your decorative tray a new look. 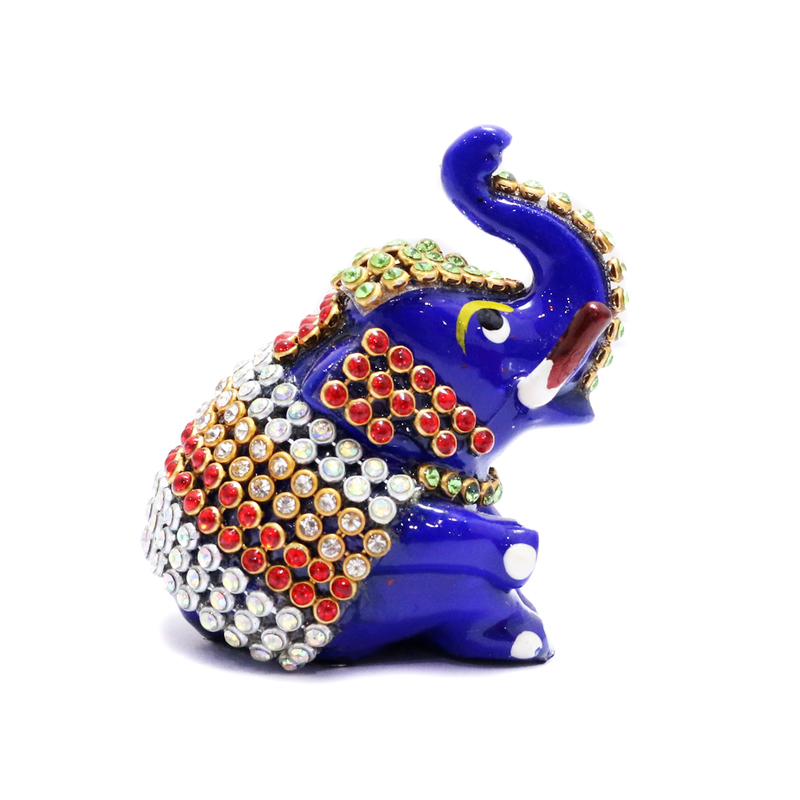 It is filled with cuteness, loaded with some seriously intense stone Read More..and meenakari designs. 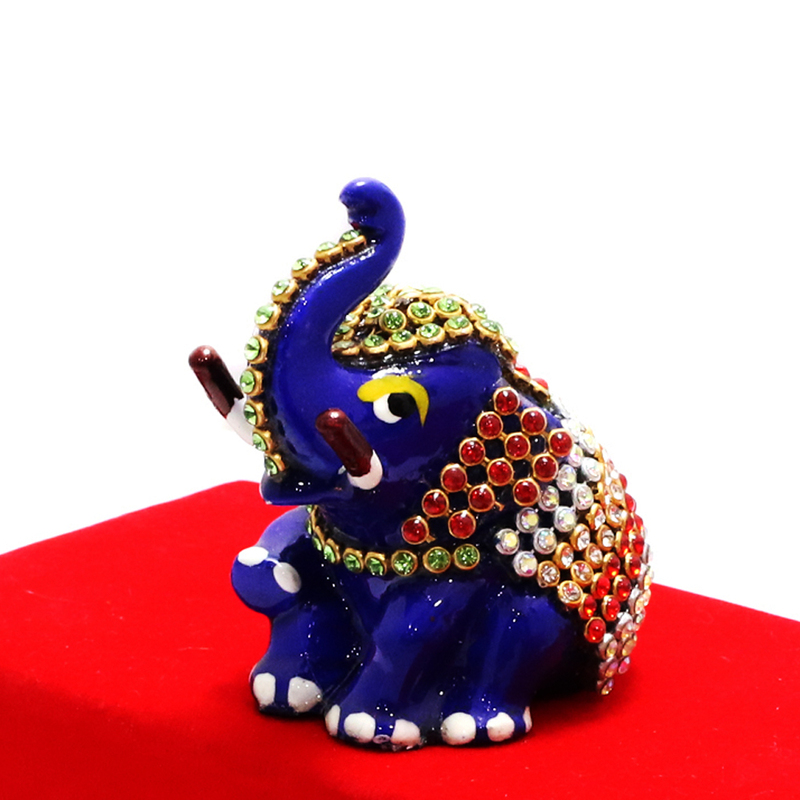 With the trunk soaring high up, the showpiece catches even more attention. Show Less..